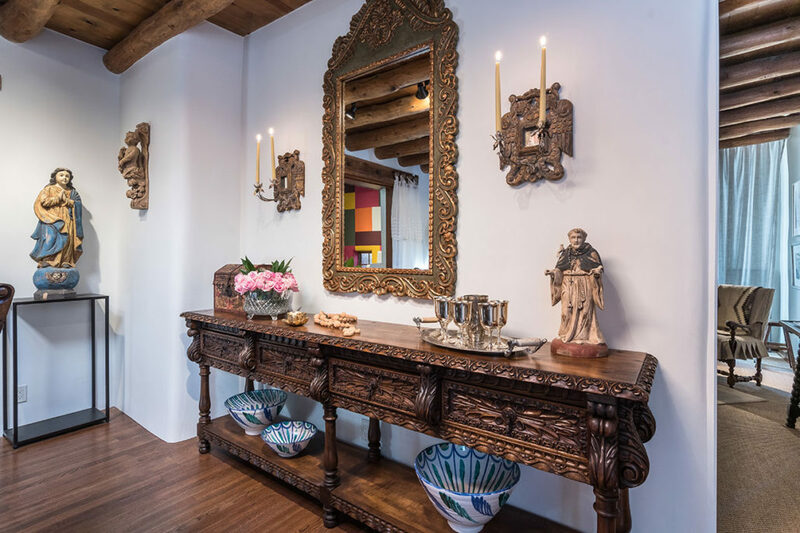 The 4th Annual Show House Santa Fe celebrated Old Mex & New Mex, a blend of regional and Old Mexico designs. 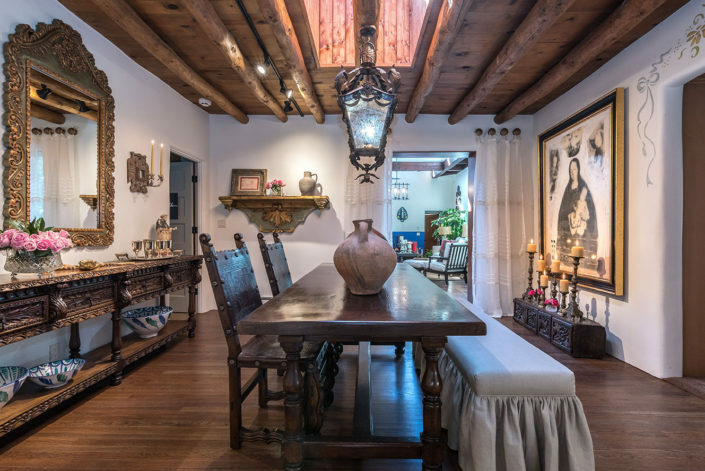 Show House Santa Fe 2016 property was the chosen historic east side home of the estate of the famous White Sisters in the 1920’s and 1930’s, daughters of a wealthy New York newspaperman. This estate was located in the heart of the Santa Fe artists’ and writers’ colonies during the first half of the last century near El Delirio and was the famous home of Martha Root White and Amelia Elizabeth White. 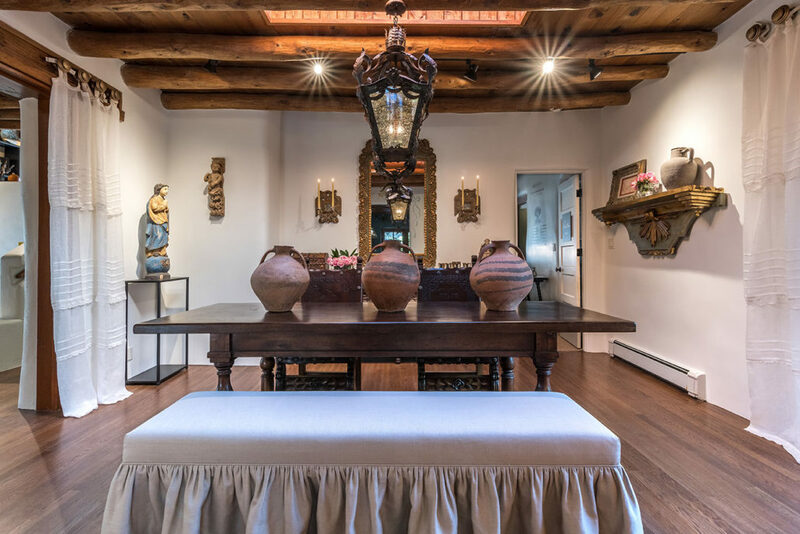 The Show House Santa Fe 2016 home was also occupied by renowned artist Raymond Jonson who was one of the original art trailblazers. 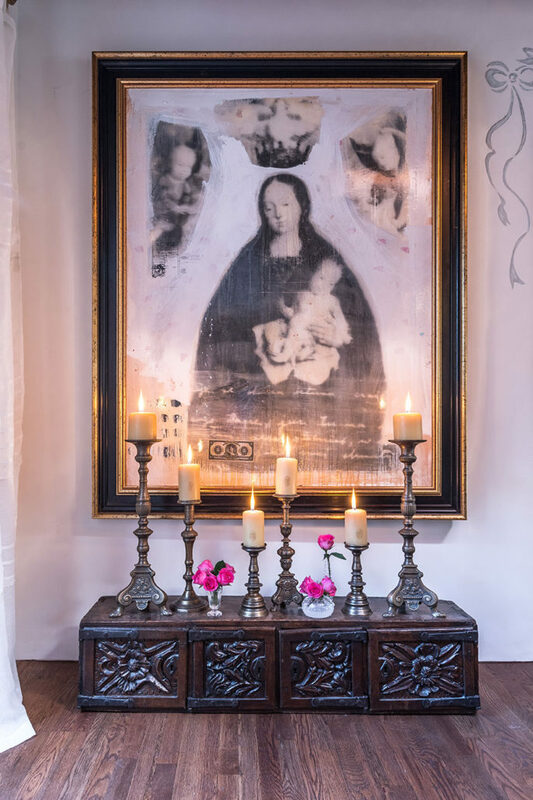 He was part of The Transcendental Painting Group (1938-1942) co-founded along with Taos Painter Emil Bistram. Other noteworthy residents included German woodcut artist Gustave Baumann and poet Witter Bynner. 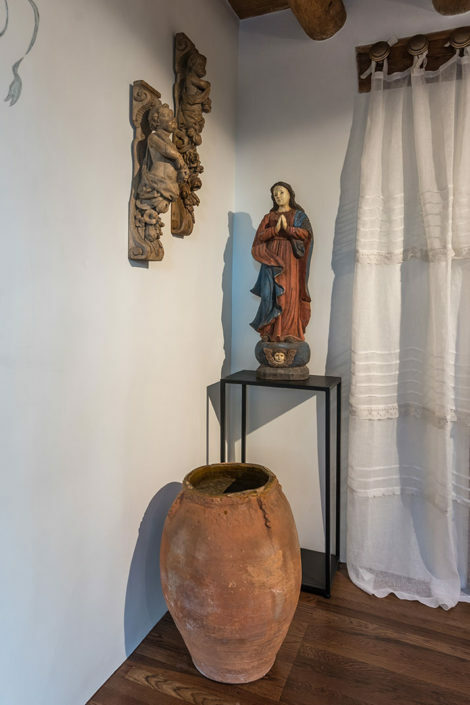 The area includes the Amelia E. White Park, with a romantic arbor and roses, that Amelia White deeded to the city in 1966. 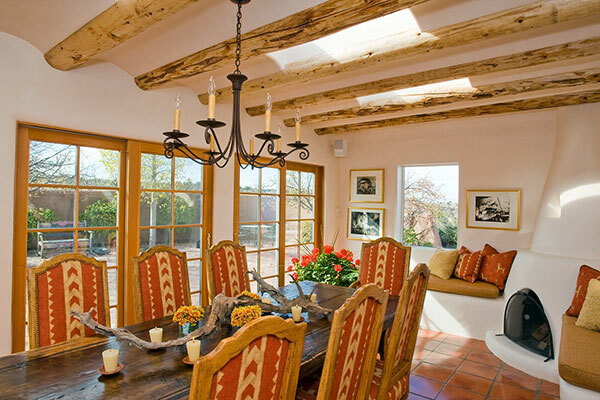 In the typical Santa Fe home, the Dining Room is a very special and integral part of the house. 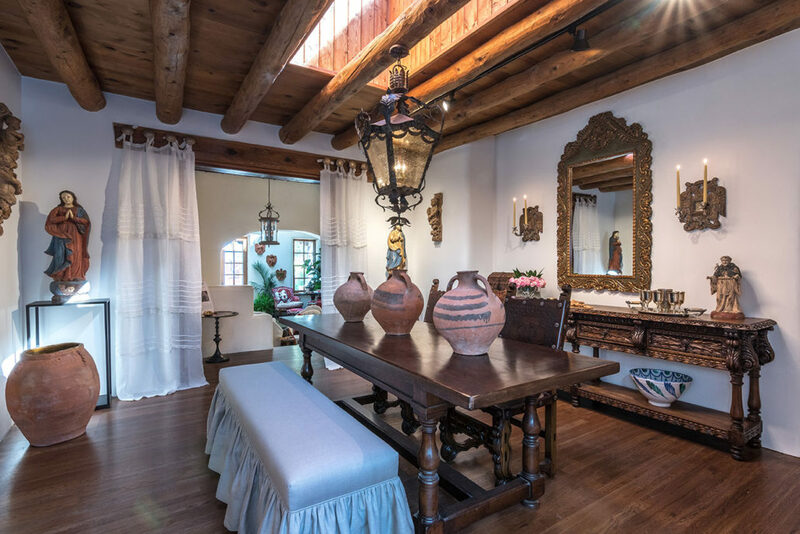 Not only is it a space for dining, but it becomes an important environment for entertaining, communing with and enjoying family and friends. In creating the design for the Dining Room of Show House Santa Fe 2016, we honor the opportunity to create a space that not only pays respect to the rich style and elegance of the house but also integrates the “Old Mex with the New Mex,”in a sophisticated but also a very comfortable and inviting way. 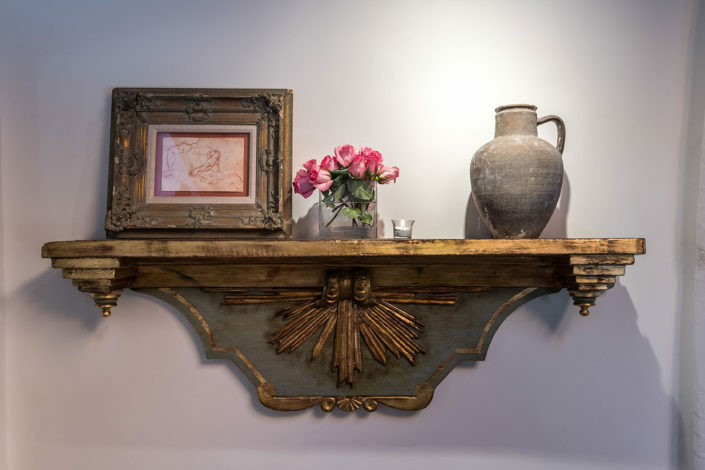 As Interior Designers we specialize in residential, commercial and hospitality design. 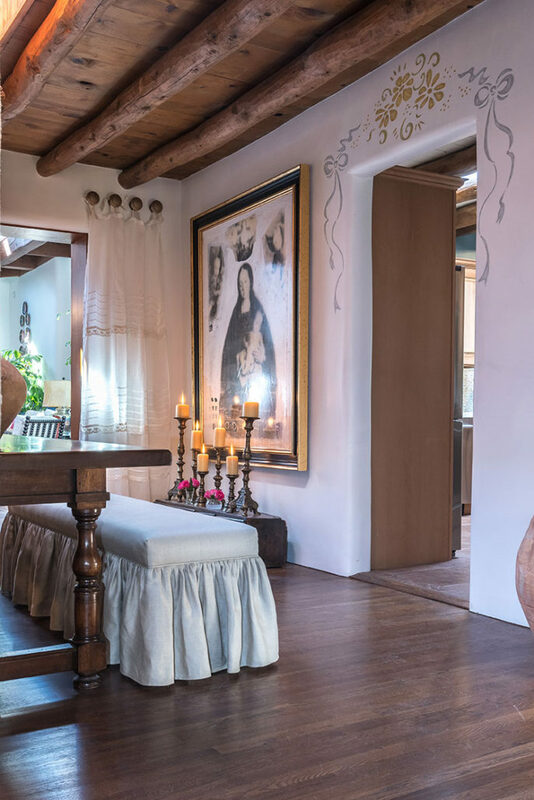 With locations in Santa Fe, New Mexico; Dallas and Austin, Texas, we create interiors both locally and nationally with an emphasis on new construction or remodel, re-design of an existing space.